Attorney Kelly E. McMahan is a life-long resident of Texas. She graduated from Texas Christian University, where she majored in History and minored in English. She then went to Texas Wesleyan School of Law and graduated in May of 2010. 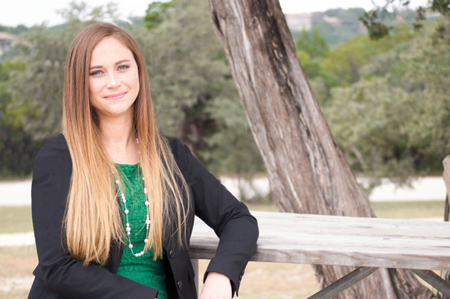 She took the July 2010 Texas Bar Exam, then moved directly to Austin. She is licensed to practice law in the State of Texas, and helps clients as an Austin traffic court lawyer, defending clients charged with class C misdemeanors. Kelly McMahan is an Austin traffic court lawyer who has handled hundreds of tickets for her clients. She enjoys making the entire process, from receiving the ticket to its ultimate resolution, as easy and stress-free as possible for her clients. Her goals are to save you time and worry, keep tickets off of your driving record, keep insurance costs from increasing and to keep you from getting points on your drivers license, which could result in license suspension and costly surcharges. Kelly McMahan and her firm will take all class C misdemeanor cases, including Minor in Possession, Minor in Consumption, Open Container, No Seatbelt, Disorderly Conduct, Class “C” Theft, Class “C” Possession, Assault and most traffic related offenses. If you need an Austin traffic court lawyer, Kelly can provide information on license suspensions and the Texas Points System. Contact her today to discuss your cases.